A headline in today’s New York Times got my attention: Medical Errors May Cause Over 250,000 Deaths a Year. I didn’t die from my breast cancer surgeon’s medical error, but I did get a firsthand look at how these errors are glossed over by hospitals and insurance companies alike. My lump had been close to the skin, high on the breast. Six o’clock. The lump’s location meant I wasn’t a candidate for a lumpectomy. So, I chose a double mastectomy without reconstruction. 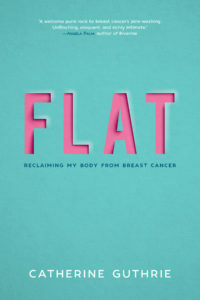 Six weeks after my initial diagnosis, I had no breasts but the pea-sized lump of breast cancer still sat brazenly on my chest. Two months later I got a lesson in how insurance companies deal with medical errors. Paperwork arrived in the mail showing my surgeon billed my health insurance company his full fee for the do-over mastectomy. I called the company to tell them they should deny the charge. After all, it was the surgeon’s mistake. Why should he profit from it? The insurance rep told me it wasn’t his job to parse what was or wasn’t a mistake. If the billing made sense, they paid it. And, just like that, my mistake was recast as a recision. In the records, my breast surgeon simply “went back for more tissue.” No one mentioned it again. I was a health journalist. I interviewed three surgeons for the job. I chose the one with the most experience and the best credentials. I did everything I could possibly do, except control for human error. The NYT article reports that if medical errors were considered a disease it would be the third leading cause of death in the US behind heart disease and cancer. Whoa. No one expects health care practitioners to be perfect but 250,000 deaths a year? We can do better.